But! We knew that getting out of the house for a little getaway was something we wanted to do before he arrives. 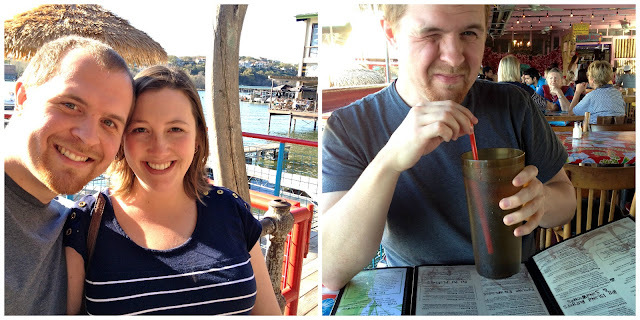 Since we've been married, we've visited a lot of places around Texas + neighboring states, but the one place that neither one of us had spent time in was Austin. We'd heard it was a fun city, plus, we've always enjoyed the Hill Country :) So, we booked a place to stay (which was hard because of the SXSW Festival...which we did not know was going on...in the end, we found the perfect place! ), planned some fun activities, and snuck away. Our first activity on the agenda was to take a train ride, spend some time in a little Texas town, and check off one thing off of my 30 before 30 list (which was ride a real train!). 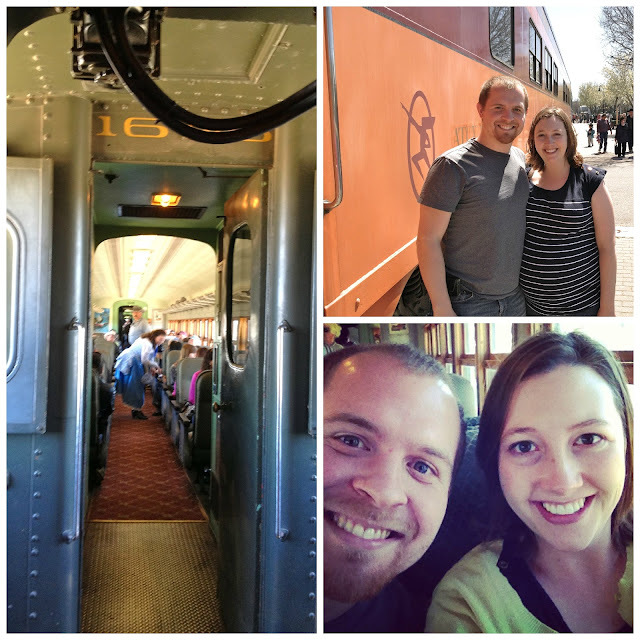 We loaded up, enjoyed the ride, and felt a little like we were traveling in the 1910's...it. was. slow. We had a little break between rides in Burnet, Tx. We grabbed some sandwiches at a local cafe (they were so good! ), saw a gun fight (pretend, of course, and extremely cheesy! ), and took our photo by the huge bluebonnet. 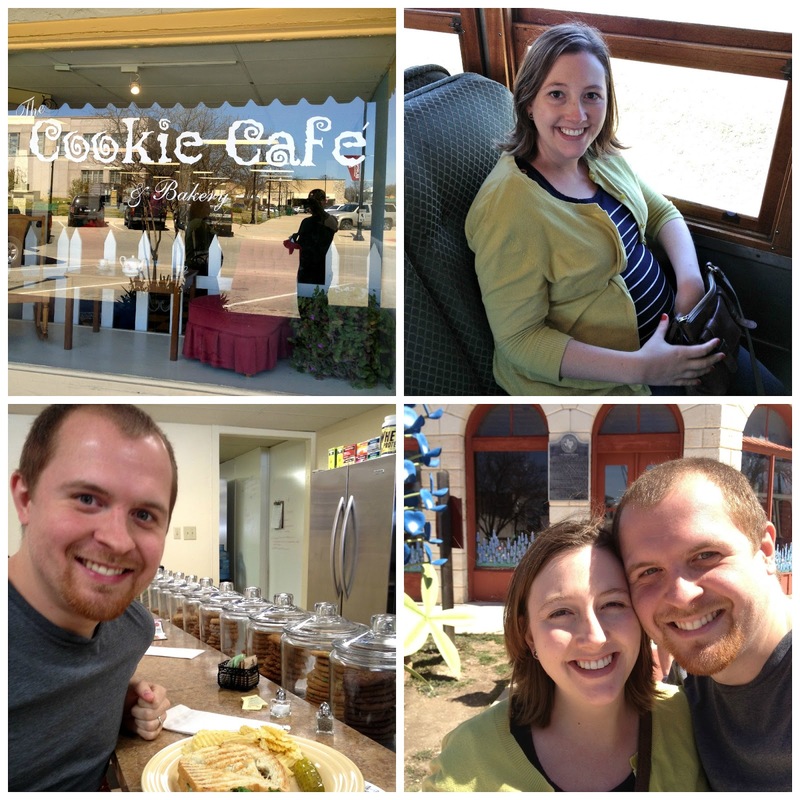 After our train trip back to the station, we headed to Austin for a yummy meal at the Hula Hut and enjoyed the scenic view of the Hill Country. That night, we watched the sunset, gazed at the stars, cuddled up, ate some cookies, and breathed in the quietness of the country. It was absolutely beautiful.